What an odd little show. I have so many conflicting emotions about this drama – because there were so many things I really, really liked and quite a few things I wished I could have vetoed in the writer’s room. But overall – it’s one of the few medical dramas I enjoyed. 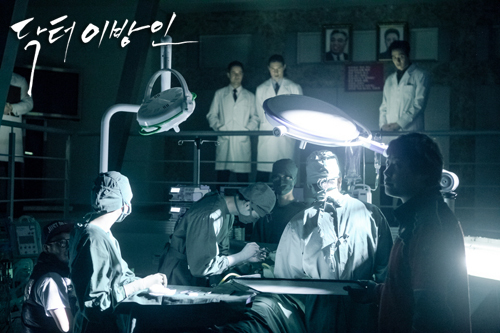 Plot: A brilliant surgeon and his young son are sent on a secret diplomatic mission to North Korea – only to be betrayed by their own country and kept by the North Koreans! The young man grows up there, following the footsteps of his father to become a doctor, but due to the lack of equipment and technology, learns “old school.” His childhood sweetheart and fiance is taken by the secret police shortly after agreeing to marry him. When he’s near graduation, he is taken by the government to a secret facility to perfect his craft of heart surgery, by devious and nefarious means. He spends several years imprisoned in this nightmarish place – secretly searching for his fiance. He finally finds her right when his opportunity to escape the country presents itself – and attempts to flee with his lady love only to lose her in the process. Several years later, in South Korea, a series of events leads him to be hired as a new surgeon at a prestigious hospital. There he meets a woman who looks identical to his fiance, but claims not to know him. Who is this mysterious woman? And will he ever find his lost love? While all these burning questions linger, there is an awesome new woman in his life who vies for his heart… but can he ever escapes the secrets of his terrible past and get over his first love? Overall Rating – 8/10. Pyongyang Medical School is Not For The Faint of Heart. More Discussion and Spoilers Follow…. Add the additional trauma of watching his father basically commit suicide by walking into a field and letting himself be shot down by guards – and then watching his fiance basically commit suicide by letting go of his hand and dropping off a bridge several dozen feet into icy waters… and you’ve got a damaged man. When he first comes to South Korea, he opens a small independent practice and basically does odd jobs and minor surgeries. He befriends another refugee, a young woman who has been trying to get her mother smuggled out of North Korea… and when she succeeds, he feels re-inspired by her success to try again to find his own lost love…. who may still be alive. But it’s gonna cost. Cause the human smuggling business isn’t cheap. Here is one of the areas I wish we’d gotten to learn more about. I would have liked this to be further developed, personally, because it’s fascinating. How people get out of North Korea is interesting… and though we got a small taste of it, I would have preferred more. Anyways, he’s doing “under the table” surgeries for gangsters and delivery water bottles and whatever else he can think of to earn money. While delivering water to a hospital – an emergency situation causes him to jump right into surgery. He basically suits up and just goes to town! Which is highly frowned upon in the medical community, doing surgery in hospitals that you aren’t employed at… but he does such a good job and makes such a great impression with his skills that he’s offered a job. Until everyone learns he’s from North Korea. Then they all freak out. Change their mind. Then change their mind again. This is a mind set I will never understand, probably. I mean, I understand it… but I don’t quite emotionally relate to the North/South mental math. There’s a love/hate there that is well deserved and I’ve read a lot of books on North Korea and tried to understand the situation more… but I don’t think I can truly grasp it. Probably the same way someone can’t grasp racism in America unless you’re born in America. It’s a strange, subtle, and integrated thing. So, our Doctor Stranger is hired by the big hospital and he takes the job, cause he needs to the money. And also because he sees another doctor there that looks shockingly like his fiance. As in… JUST LIKE HER. As in… that’s freakin’ her. Or her twin. Or her clone. But she’s got another name and has no idea who he is… so who is she??? He’s gonna find out, by god. She totally is his fiance. And is working as a spy and it’s all complicated and a big mess. Jin Se-Un is an incredible actress and I love her – but she was odd in this show. Somehow her character felt underdeveloped. Or maybe just… lost. Or overshadowed by the other first female lead, cause there were two female leads. So North Korean fiance girl just came off as cold and then as sad and then even sadder and then desperate and you felt sorry as hell for her… but yet never really liked her. I think they should have given her a little more back story. OR given her a little more story in the present, in South Korea. Maybe show us some scenes of her alone, doing something that makes us really like her and identify with her. But all my love went to the other female lead. Our other first female lead was played by Kang So-Ra and she was adorable! She was feisty and fierce and emotional and playful and easily wounded and lovable. She was another surgeon at the hospital, still young and learning. 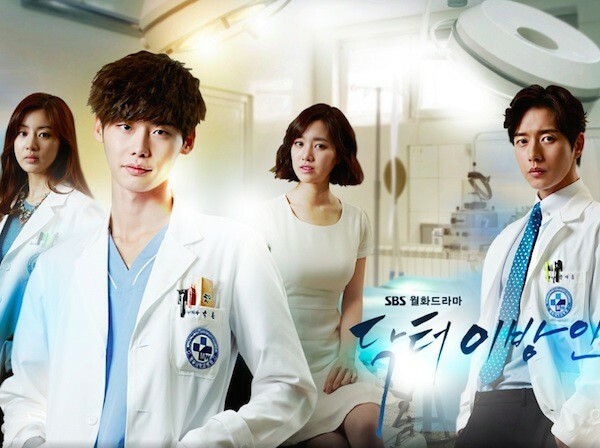 In the beginning of the drama, she is dating the top surgeon – the gorgeous, stoic Park Hae-Jin. They have an odd relationship, as she is very full of life and energetic, and he seemed distant and calculating. Because he was distant and calculating. He was on a mission to rule that hospital and he wasn’t about to let some young refugee doctor usurp him. And unlike our cold, distant North Korean female lead, I actually really liked this guy. He was interesting – I understood him – his emotions made sense to me, his competitiveness, his drive, his ambitions. And it was clear despite his reserve, he really burned for his lady love. I mean… he liked her. A LOT. So when she stopped liking him and started liking his rival – he was miffed. But damn! 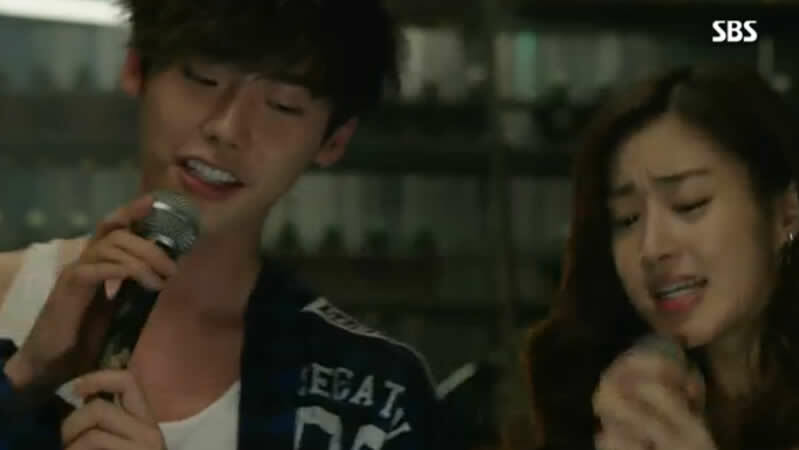 Doctor Stranger and our young doctor lady had CHEMISTRY! They were always looking at each other, always touching each other, always harassing each other and making jokes. They comforted each other in times of need. They cared for each other. They supported each other at work and outside of work. They got to know one another and helped each other through difficult times. They smiled and laughed and played together. And sang duets. Ironically, they had the love story. Yet they did not get the happy ending. Sigh. Which is fine. I’ll let it go. The two tragic people have to get together – first loves must never be denied, K-drama rules and whatnot. But… just… big sigh. I was broken hearted over it, I admit. Special shout out to Park Hae-Jon (on the right) for playing the North Korean guard… who was quite scary and complicated. Let us all never go to North Korea. And hope for unification.